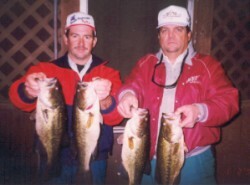 Fish Table Rock, Bull Shoals or Lake Taneycomo with the pro who's had over four decades of experience guiding the area lakes. 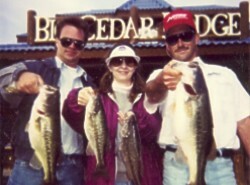 Specializing in Bass, Trout and Walleye, Tim Sainato is a great professional guide who can make your fishing trip the memory of a lifetime, as you fish from a comfortable, fully-rigged late-model bass boat. 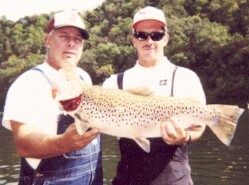 Enjoyed the natural beauty of the hills, lakes, and wildlife while fishing in Ozark Mountain Country!